My Octopus Song - sung to "Three Blind Mice"
I'm a Big Whale - sung to "Clementine"
I am swimming in the sea. I am singing in the sea. I am spouting in the sea. My Fishy Song - sung to "The More We Get Together"
What kind would I be? My Starfish Song - sung to "Mary Had A Little Lamb"
Take some original goldfish crackers and some markers. Let the kids paint the fish different colors. 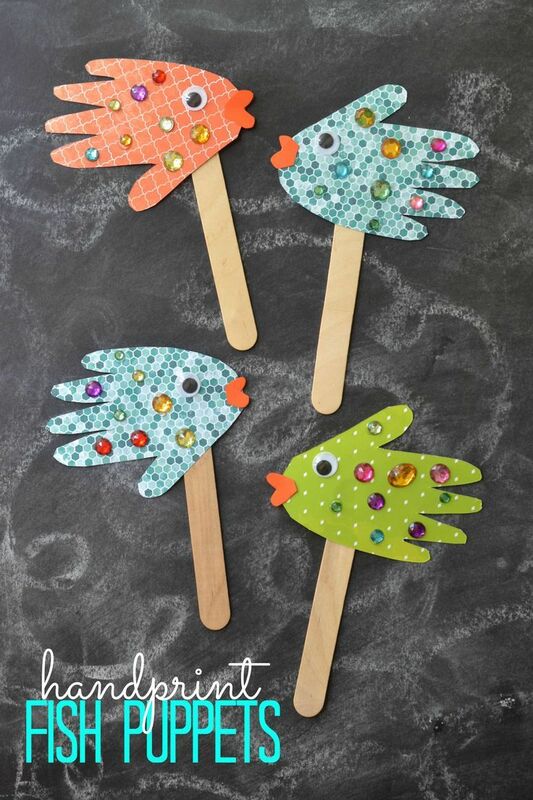 Glue each fish on 1/4" wide strips of clear plastic (from packaging of various items) make strips different lengths. Then stick them on a piece of styrofoam painted like the ocean floor. Cut out some 'Seaweed' from paper and 'plant' in the styrofoam. Instant no fuss aquarium. I had an old cake cover from a deli which I tinted with glass paint and put on top of it to keep little fingers off but when you gently move the styrofoam the fish "swim". This game is based on the game duck, duck, goose. The children are in a circle and one child walks around tapping the other children on the head saying fish each time until they say shark one time. This child then runs around the circle chasing the other child to see who gets back to the empty space first. 1. The sea or ocean is a great expanse of salt water that covers a large part of the earth. 2. There is more water than land on Earth. 3. The sea is a unique world with special plants and animals. 4. Freshwater plants and animals cannot live in the sea's salt water and people cannot drink it. 5. Some sea animals are the whale, shark, dolphin, crab, lobster, seahorse, sea turtle, sea otter, sea snail, oyster, jellyfish, seal, eel, squid and clam. 6. People use the sea in many ways, such as for transportation, recreation, and food. 7. People sometimes pollute the sea. We need to keep it clean and safe for plants, animals, and people. Show & Tell - some ideas are a shell, sand dollar, sea sponge, small bag of beach sand, beach toy, toy boat or picture of a sea creature. Supply a large box. Paint the box blue to represent the ocean. Ask parents to send in any clean unmatched socks they do not want. Have the children use permanent markers to decorate the socks to resemble fish. Once the fish have been decorated, fill the socks partially with handfuls of dried beans, sand or rice. Then secure the ends with rubber bands. Let the children take turns tossing the flying fish into the box. Fun!! Discuss with your child how an octopus will change colors to blend with its surroundings. 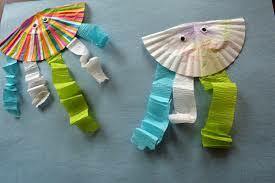 Cut four or five different colored octopus from construction paper. Set out four or five of matching sheets of construction paper. Ask your child to match the octopus with its background. them into the "ocean." Once finished, prepare as directed and serve.